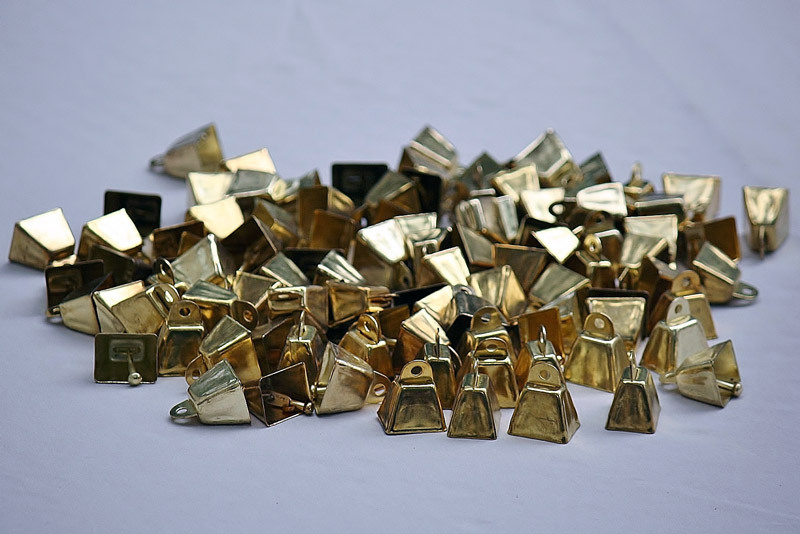 Height: 3/4" Height with loop: 1" Length: 15/16" Width: 3/4"
These tiny cow bells will add muisc and style to all your creations. 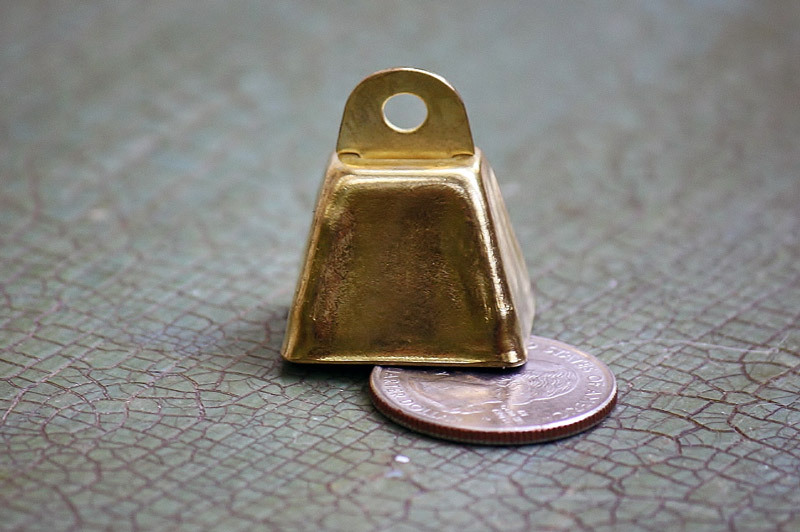 The thick, sturdy metal makes a loud, strong sound. 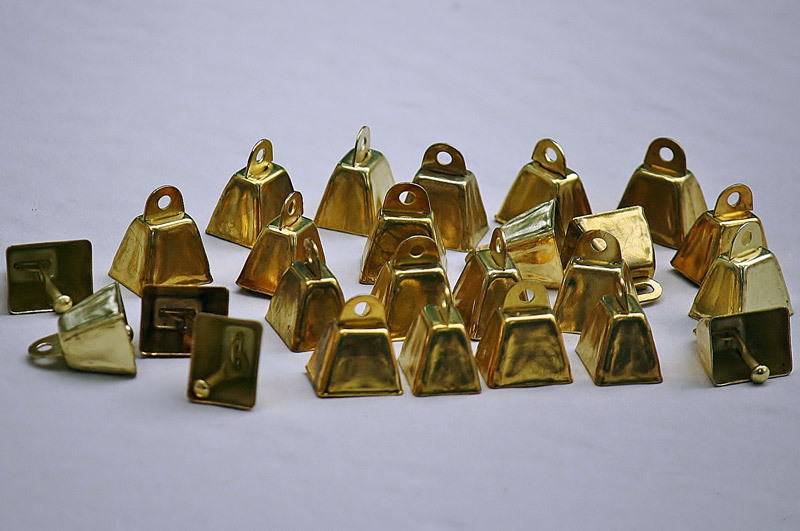 There is always a spontaneous craft with these quality bells!